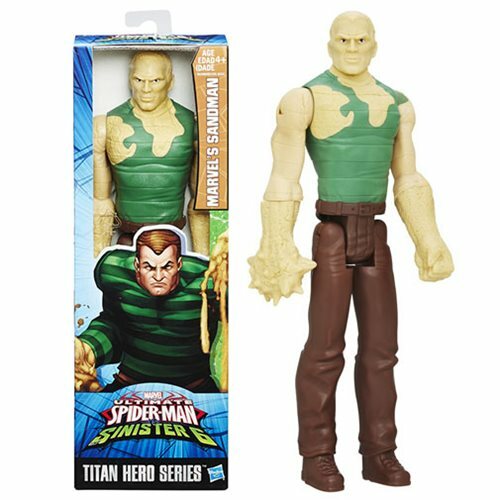 Super-size your super hero adventures with this incredible Titan Hero Series Marvel's Sandman action figure! This 12-inch baddie is ready to open up a large-sized world of pain on Spider-Man and his buddies. With him around, there's no telling where your adventures will take you! Ages 4 and up.